We just spent the last week in Loveland, Colorado, vending and teaching at the inaugural Interweave Fiber Fest. Two days driving out, two days driving back, three days of vending and teaching, one day of taping online classes for Interweave. It was an amazingly full week that just FLEW by! 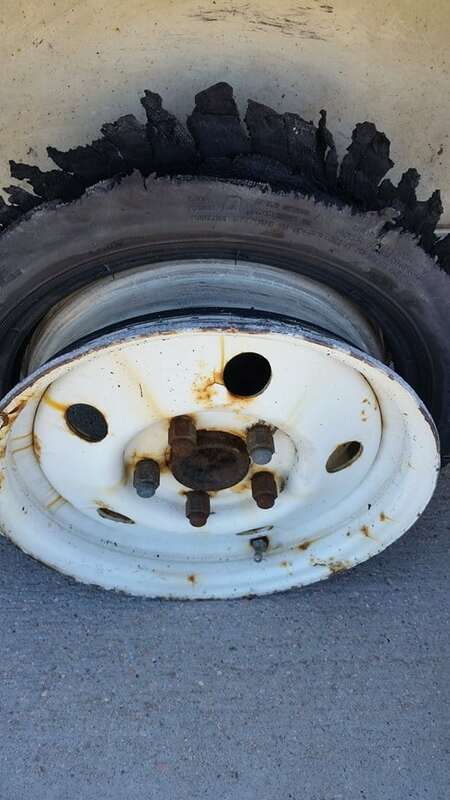 Minor road mishap just outside of Sterling, CO. One of the tires on the U Haul wagon went flat! THUMP THUMP THUMP THUMP. 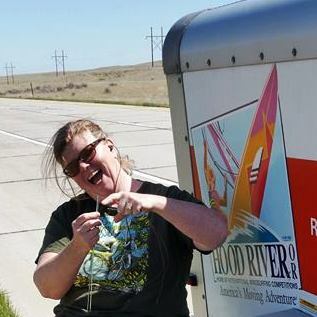 We pulled to the side of the interstate by mile marker 138, waiting for U haul roadside assistance, passing the time the way fiber folks do (aka Knitting). A nice service guy came out to help (aka ZZ Topp), and we were back on the road again, headed to Fort Collins and Loveland. 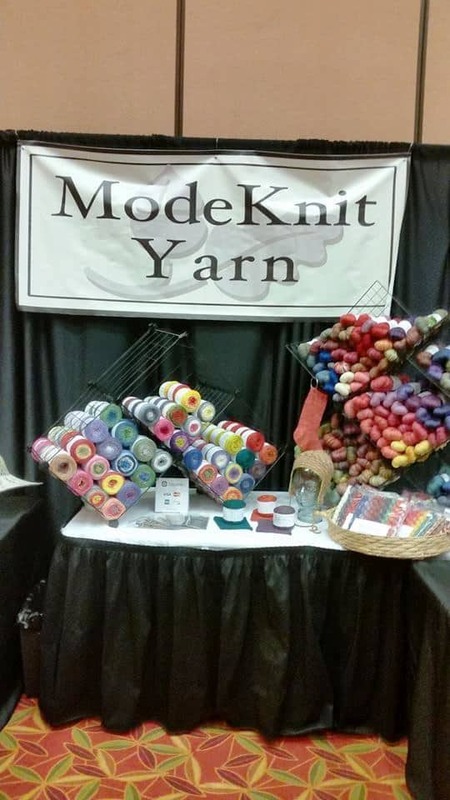 Interweave YarnFest was held at the Embassy Suites hotel and conference center in Loveland, CO. The weather turned gloomy with snow and rain, so it was great to have everything under one roof. The classrooms were right near the market, our room was right upstairs in the fancy glass elevator. Thanks Interweave, it was an AMAZING weekend! The market was HUGE! So many vendors from all over and so many shoppers! We met many amazing fiber folks! We had so many goodies for sale; FLOW, mini skein sets (including the new Game of Thrones set) and Slippy Cowl kits. ModeFlax was a huge hit, and so was Annie’s Knitting Millinery book. We unveiled our Game Of Thrones colors, Dragon Dances, and pretty much sold out of everything with a Dragon we put out! By Saturday afternoon we had sold out of ModeSock in FLOW and sold most of our mini skein sets. We met so many talented folks who knit and crochet. Our Fingal’s Cave Scarf and Granny Square Shug were popular samples. Annie’s classes were sold out as well, and the students were quite talented – fearless and confident and full of knitterly self-respect. Perfect students! New techniques were learned, and skills were honed. We headed for home on Sunday afternoon pulling into Saint Paul late Monday afternoon. A whole week on the road!! 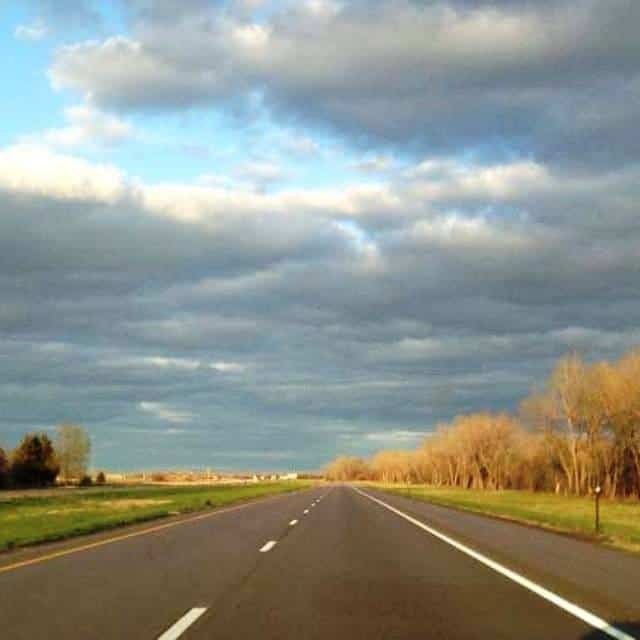 The road home through Nebraska. And now back to business- This coming Saturday, April 25, 2015, we’ll be vending locally at Yarnover, hosted by the MInnesota Knitter’s Guild. The market is free and open to the public. We’re in Booth #10. 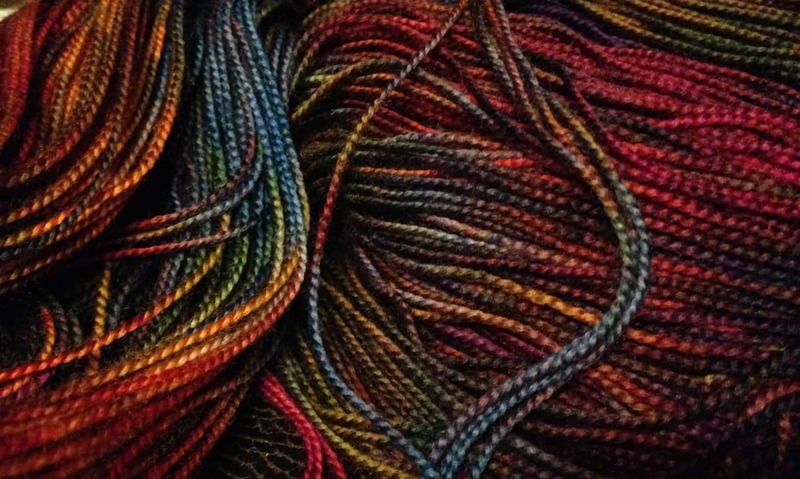 We’ll be restocked with freshly dyed yarn and ready meet you! Stop by and say “Hi” and be sure to use our coupon.